Kids trade lunches, pokemon cards, and beyblades. 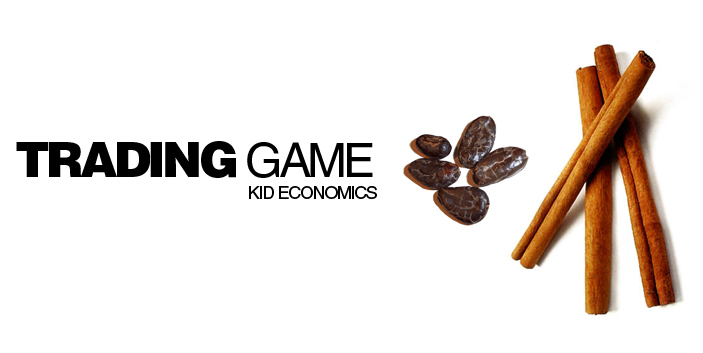 To help kids understand voluntary trade, imports, and exports, play the Trading Game! Divide kids up into groups (4 kids per team). Each group represents a country. Kids work together and research their country. What natural resources does their country have? What products and natural resources does their country need? Give each kid a paper lunch bag with a surprise inside! The item in their bag should be a natural resource or product that is abundant in their country. Kids trade the item in their bag to obtain a good that their country wants or needs. They begin trading "locally," with each other. Then, they trade items "world wide," with all of their classmates. In the end, each team should have 2 items their country needs and 2 items their country wants. 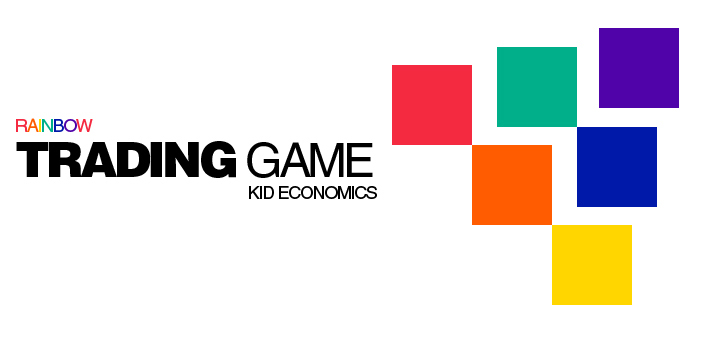 Click here for trading game instructions and extension activities. For younger kids, play the rainbow trade game! Give each kid a bag of cut up squares of a single color. Kids go around the room trading one of their colored squares with their peers, until they have each color of the rainbow. This is a good activity for introducing trading. My kids love playing games. And this would certainly fit their criteria.